When it comes to designing a pool float, there are plenty of things to consider. Is it easy to get on? Can it hold a drink? How will it look on Instagram? But one of the things that should also be pondered: does it look like a giant sanitary napkin? Apparently that was not the case for the creators of the Pasadena Pool Float, a picture of which was posted on Reddit a few days ago to immediate hilarity. "It gives me the confidence I need to float in the pool," wrote the user. 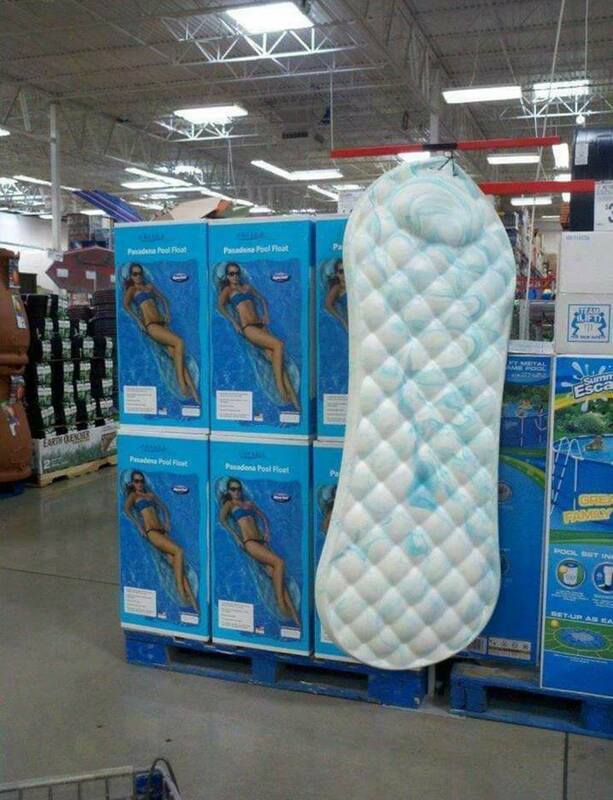 Twitter picked up on it and quickly decided on the problem: there were likely no women consulted in the creation of this pad pool toy. But other options were, ahem, floated as well. And others were pretty excited about taking this to the streets. So there is the possibility that the backlash could really work in this company's favour — we can picture plenty of people grabbing these for a girls' getaway weekend or simply just taking ownership of the fact that menstrual products shouldn't be relegated to back corners of bathroom cabinets. Lie on them in the pool instead, dammit! If nothing else, it's a good reminder that designs for anything should be run by a diverse group of people, in case the ones who are doing the creating have a particular blindspot. It reminds us of the iPad debacle when it was first released — though considering no one bats an eye when saying the name now, perhaps pools will soon be filled with maxi pads of every size.